The Federal Trade Commission, along with law enforcement officials and charity regulators from 70 offices in , the District of Columbia, American Samoa, Guam and Puerto Rico, announced more than 100 actions and a consumer education initiative in “Operation Donate with Honor,” a crackdown on fraudulent charities that con consumers by falsely promising their donations will help veterans and servicemembers. 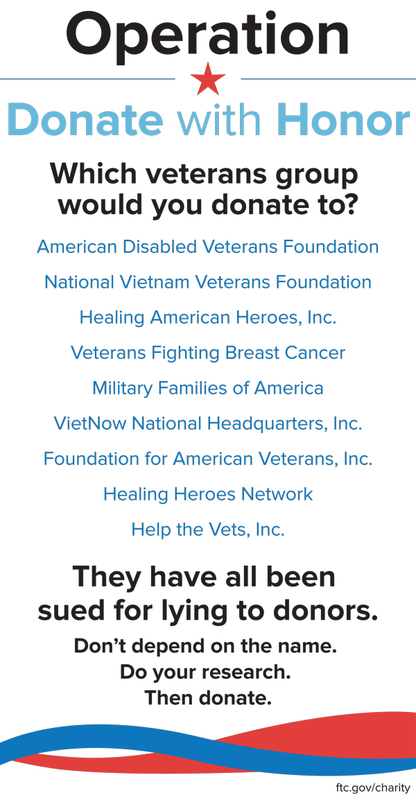 , (HTV) will be banned from soliciting charitable contributions under settlements with the FTC and the states of Florida, California, Maryland, Minnesota, Ohio and Oregon, for falsely promising donors their contributions would help wounded and disabled veterans. In addition to the ban on soliciting charitable contributions, the proposed bans Paulson from charity management and oversight of charitable assets. To ensure that donors to HTV are not victimized again, HTV and Paulson must destroy all donor lists and notify their fundraisers to do so. 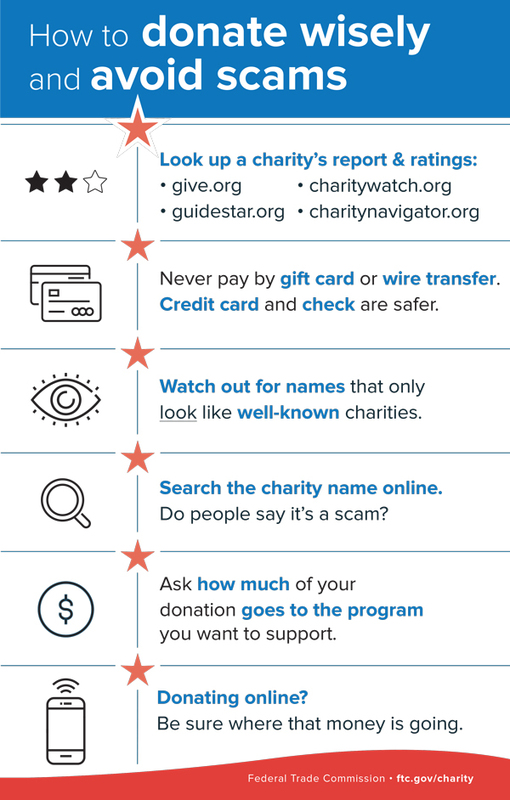 The FTC with using fake veterans’ charities and illegal robocalls to get people to donate cars, boats and other things of value, which he then sold for his own benefit. The scheme used various names, including Veterans of America, Vehicles for Veterans LLC, Saving Our Soldiers, Donate Your Car, Donate That Car LLC, Act of Valor, and Medal of Honor. Peterson allegedly made asking people to donate automobiles, watercraft, real estate, and timeshares, falsely claiming that donations would go to veterans charities and were tax deductible. At the FTC’s request, a federal court issued a prohibiting Peterson from making unlawful robocalls or engaging in misrepresentations about charitable donations while the FTC’s enforcement action is proceeding. In the announced today, charities and fundraisers sought donations online and via telemarketing, direct mail, door-to-door s, and at retail stores, falsely promising to help homeless and disabled veterans, to provide veterans with employment counseling, mental health counseling or other assistance, and to send care packages to deployed servicemembers.